As the debacle of Libya and the international community’s dire response to it rumbles on, questions are raised over the role of strategic communication and its utility. As many begin to really appreciate the value of strategic communication, empirically studied in RAND’s “Victory has a Thousand Fathers” and found to be a highly important pillar in a multipronged approach, capturing the essence of strategic communication appears to be as slippery a prospect as ever. Its utility is laden with difficult issues, not least from the starting definition which is variously described in different fashions depending on who one talks to, which government or organisation they represent, the particular context and the phase of the moon. But the inherent issues remain locked solid. The question of how strategic communication informs and guides policy formation, support objectives and permeates deep-held beliefs and values can generate considerable communication in itself. How and the degree to which strategic communication is managed, especially within an information-rich and technologically dizzying environment, at all levels is debated and scrutinised on both sides of the Atlantic. Deciding the mechanisms, both organic and external, to employ equally can invite headaches and ethical dilemmas. In multilateral organisations, abutting national and non-governmental entities, synergy of communicative action – considered a mainstay of the strategic communication ‘profession’ – can be but a glint in the dreamy-eyed politico, yearning for some coherency of message and consistency of action in order to close the ‘say-do’ gap. And then, even if a concert of communication is glimpsed, internal machinations and concerns over domestic public opinion often prevail to muddy an already turbulent stream of collective consciousness. Even within the major publics, diverse interests drive the agendas, colliding and careening off each other, refusing either to be harnessed within or at, sometimes utterly violent, odds with strategic objectives. The information environment itself poses considerable and rapidly evolving challenges. Not only do domestic audiences create world views, opinions, attitudes and behaviour motivated through ever more multi-spectral channels, and increasingly contribute to those mediums, but publics in far-flung places across the globe, places rife with geo-political angst, do so equally, often with little understood effect and consequences. Events in the Middle East have indicated the catalysing effect of such technology – even NATO are now actively cogitating over this. The very nature of human interaction and collective capability is evolving swiftly, in which the ways in which we cooperate, contribute, co-opt, consult and create are subject to new dynamics. As such, the manner of top-down hierarchy is giving way to flattened networked linkages, diffusing power from traditional nodes to looser organisms. And the feedback loop in these new dynamics is growing in volume, ignored at one’s peril – strategic communication can no longer be a one-way street. This is all occurring within our own settings and within disparate, distant and devolved social entities, with profound effect. In the early 21st century we are only just beginning to grapple withthese issues and realise the complexities of a vortex of new politics, new technologies and new societies, all subject to and fonts of masses of information. An understanding of that information, its utility and its management is now an imperative, utterly essential and fundamental to any who wish to operate in this vortex. Put simply, communication is defined by the response you get. In today’s complex geo-political environment, strategic communication is defined by how you get the response needed. We’ve now transferred to a new blogsite at www.cb3communications.com. The same old good stuff will be kept here but for the latest click below. Go on, you know it makes sense! The space created by humanitarian crises, conflict, revolution or disaster is always rapidly filled by actors of many persuasions – governments, belligerents, the ‘people, the media, the international community, NGOs, specialist, the military and others. And within this space, communication, its audience and, increasingly, its technology, are fundamental to achieving objectives, whatever they may be, from the defeat of an enemy to a shift in political culture to saving lives and alleviating suffering. In this space, as in everyday human existence, communication or, more correctly, information has a currency, and it could be argued that in this space, the value of this currency skyrockets. Indeed when the stakes are high, information is undoubtedly power. But is that power, to do good or bad, effectively and efficiently used? Can we, given the utter complexity of the human creations of such environments, ever hope to harness its power. One need only look to events in the Middle East and North Africa, from Tunis to Tehran, to see communicative power unleashed, but is it a case of unbridled brute force of communication, catalysed by technology but not sparked by it? And as such, is equal brute force being used, literally and metaphorically, to stymie or dilute the informational tidal wave? To fathom the nature of this power, one can look to several mechanisms of communication, from the ‘hidden persuaders’ of advertising through to the idea of ‘Facebook revolutions’, from the slippery techniques of the snake oil salesman to grassroots activism. But it is undoubtedly the latest generation of, not only, technology but its users that are really multiplying the power, but not necessarily the control, of communication and information. The Director of Google Ideas, Jared Cohen, recently pointed out: “Ten years ago, the number of people who had access to the Internet was 361 million; today it’s 2 billion. In the year 2000, 300,000 people in Pakistan were using cell phones; today it’s 100 million. You can’t say technology doesn’t matter.” The sheer exponential advance in numbers is staggering and its influence, as a capability not an ideal, is changing the way people, from Berlin to Benghazi, are utilising and succumbing to informational power. Take Palestine, a fulcrum of power plays. Today’s youth, as individuals, are just as their fathers and mothers were, with the same wishes, problems, drives and angst but there are significant differences. Unlike previous generations, they are collectively informed and, crucially, networked. The public sphere, from Ramallah to Rotterdam, is morphing, and rather rapidly. Africa and other parts of the developing world, that public sphere is changing rapidly, thanks to “digital leapfrogging”, whereby areas which have had no or limited analogue communication systems are being catapulted into the digital age. No longer subject to the linear progression of technology, these areas have embraced digital, especially mobile telephone, methods. 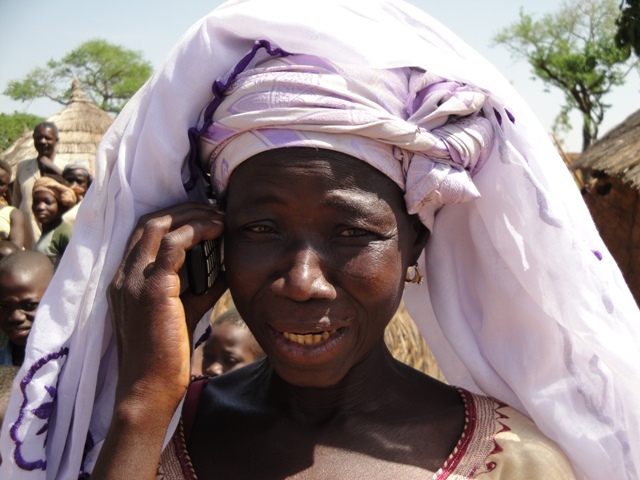 From Khartoum to Kabul, people who have never had access to basic communication equipment are making their first telephone calls and text messaging on hand-held devices similar to, or even more advanced than , those available to subscribers in the developed world. This technology is a catalyst – providing the capability to do what has already been done for eons vastly quicker. Yet, as with chemical catalysts, it does not actually become part of the reaction, it does not form part of the final compound. 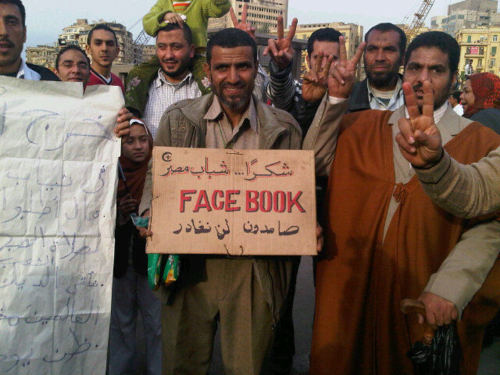 As with the current ‘Facebook revolutions’, the initial constituents of grievance, repression, anger, resilience, intellect and determination are not changed by a catalyst, technology, but the rate of constituent reaction is raised dramatically. Catalyst by themselves are often pretty dormant, inert, as it is with communication technology – useless without a human – but place it amongst people with unheeded desires, needs and drives, then the fireworks start. Whether one subscribes to Malcolm Gladwell’s ‘it’s all over-hyped’ position or Clay Shirky’s ‘here comes everybody’ perspective, it is without doubt that the already violent, unpredictable and cluttered space in which the aforementioned actors find themselves is itself undergoing seismic shocks through this catalysis. From Madrid to Mogadishu, technology catalysed tectonic shifts are now endemic in the strategic communication environment. Ignorance is bliss but futile; haphazard attempts to reclaim a degree of power or control often fail or even backfire; debate and cogitation fuel the coffers of communication conference organisers. But honest, gritty and tough grappling with this catalytic effect, requiring an open mind, dogged determination and a great thirst for answers, is unavoidable if communication is ever again to be effectively and efficiently utilised by those who practice it. When it comes to dealing with the media, spokespersons do handle most for larger companies and in most companies few devote time/funds for training management and leadership to handle the media. But, in today’s information environment, where the public and stakeholders demand increased accountability, especially of those industries who ‘fly close to the wind’ (finance, petrochem, automotive, aviation, defence, utilities, pharma etc – where (a) there are utter public reliance, safety, wellbeing aspects and (b) if things go wrong they have the potential to go very wrong) – trotting out the spokesperson has its limits – as BP, Toyota, the Prudential, British Airways, most banks over the last eighteen months etc, will prove. Spokespersons are utterly invaluable in the day-to-day dealings with the media, but most know that using the ‘big guns’ or subject matter experts (SMEs) is a necessity in maintaining a fresh, credible and mature relationship with the media. Further, media relations do not exist in a vacuum. Any successful organization integrates its communication functions – PR, advertising, marketing – and has strong buy-in from leadership who provide sound guidance and fully appreciate that communications have the ability to contribute to organizational goals way beyond the mere promotion of products or services. As such communication management, and thereby media relations, is a crucial aspect of organizational development (as the widely respected Grunig ‘Excellence’ Model of Effective Organizations attest – straight out of organizational theory (systems)), just as communications has found its way into the dominant coalition of corporate boardrooms over the last decade or so. Some have learnt that media handling is not and should not be a bolt-on. Just as successful companies will invest huge amounts of effort in market research, R&D, branding, advertising and marketing, the lean and mean, the aggressive winners in the marketplace should not skimp on PR and media relations. And part of the latter involves having key personnel, not just the spokespersons, prepared and able to handle the media. If it comes to a battle for reputation, it will most likely be fought in the glare of the camera, and the arsenal must be ready, otherwise getting into the ring with experienced journalists will be a painful and damaging experience. The notion that ‘the spokesperson will deal with it’ is folly as has been shown time and time again – management at the very least need to be engaged in the media process and prepared, if necessary, to engage directly with the media. Further, if in crisis, a media interview can be a brutal event, both personally and for the organization. By not preparing anyone for such, any HR department can be seen as neglecting its duty in training its staff for their duties and responsibilities. Of course, not all organizations, will find themselves in the media spotlight (although the potential is always there) and may not consider media training a high priority – a reasonable judgement call. But, many, many companies can quickly be under the microscope and media engagement can become, rapidly, very critical to the future fortunes of a company, especially during a crisis. By this time it may be too late to consider training. Those caught in a media storm can then reflect on the fact that hindsight is a wonderful thing. The bottom line is that while it may take years to build a good reputation, it can be shattered in hours through the media, and relying solely on the spokesperson(s) to save the day on their lonesome or wielding unprepared and untrained senior staff and SMEs, is asking for trouble. Management of the media during a crisis is critically important — a lesson relearned from painful experience. What is less a matter of fact and practice is how to train in crisis media management, particularly in an exercise environment, for a large organization. NATO’s Crisis Management Exercise (CMX) is a regular high-level exercise devised by member nations to test the organization’s crisis decision-making processes. It plays for a week and involves many players at NATO Headquarters, Allied Command Operations, Allied Command Transformation and national capitals. NATO has recently invited additional “partner” countries and other international organizations. As part of the overall exercise, the planners have incorporated a vehicle to train NATO International Staff, international military staff and national personnel in crisis media management. We set up an exercise equivalent of our existing media operations center (MOC) with personnel from across headquarters and invite nations to contribute personnel to act as a press office during the exercise. Additionally, we set up a media simulation cell as a “red team” to operate against the MOC in dynamic play. During the design phase, we developed a news media narrative that we planned to guide dynamic media content scripted by the red team, based on actions by NATO and allies and by the MOC, in both video and print form, which would also be distributed to all players. We designed the media play to have a high degree of quality and diversity. In the most recent CMX, a traditional “road to crisis” introductory video was refashioned as a hard-hitting objective documentary such as one might see on PBS’s “Frontline” or the BBC’s “Panorama.” Immediate feedback indicated that this video was important for focusing high-level attention on the exercise and synthesizing the often complex issues faced in a made-up environment. Additionally, we found that our focus on production quality greatly enhanced the experience of the game players and the challenge facing the MOC. This verisimilitude with a focus on media management training is not a usual focus in crisis exercises in our experience. This may be in part because it is not easy to do and in part because, by necessity, media simulation will diverge from exercise parameters. But this divergence is critical because the news media will almost always diverge from what an organization or government deems important in a political crisis, and it has proved beneficial to exercise this dilemma. To help others develop strong media training models, I would like to outline three principles that helped guide us when creating our virtual media environment for the past two NATO Crisis Management Exercises. The primary necessity in media simulation is reality: What players see should look much like what they watch on 24-hour satellite news broadcasts during a real crisis. Too often in crisis simulations the media format comes across as a video brief, spelling the issues out for consideration as if in a lecture. Otherwise, production values are so poor the players cannot suspend their disbelief long enough to take the scenario seriously. In reality, the media take the situation with extreme seriousness, but with minimal exposition and with a high premium placed on narrative and imagery to illustrate — rather than tell — the story. The average news story, depending on the issue, is about 90 seconds long and is geared for a general audience, not a specialized or professional one. This general perception is what media professionals must contend with, and it is crucial for red teams to simulate such a reality. Modern media coverage is driven by imagery. Fortunately, the Internet is awash with video and still imagery from a variety of sources, which can be used to create news media simulations. (Copyright concerns generally do not apply for a closed audience in a training environment.) Enormous creativity can come in to play when building simulated environments. Planners can develop locations and create characters and even corporate identities, such as NATO’s INN, our stand-in for CNN or the BBC. Over the course of these exercises, we moved beyond the basic news broadcast format to involve other formats and expand a virtual media universe. We preproduced a business show that weirdly reported a surge in oil and commodity prices, which was “broadcast” just as those markets hit their peak in reality. We wrote an adversarial talk show modeled after BBC’s “HardTalk,” complete with a pugnacious diplomat. So for our most recent exercise, we edited a trailer from a Bruce Willis action film to promote a fake movie set in the exercise environment. A young British lance corporal produced an achingly effective humanitarian appeal that could easily pass for the real thing. We produced a tourism spot for one of the affected countries and an investment advertisement for another — both regular sightings for those who watch CNN International or BBC World News. Using our previous year’s material, we even made a spot promoting our fake INN network. All of this fills out a larger media environment. Together, it makes the crisis trainees aware of comprehensive forces at work and it gives the red team more to play with. The media will generally approach a crisis and search for a story, or narrative thread: Who did what to whom and why. Whereas crisis management organizations tend to focus on the “what” part of that equation — the process — the media will find the “who” and ask the “why,” which is the narrative. Usually this question is impossible to answer for a general audience, which is what makes media management in a crisis so challenging. It also makes it all the more incumbent on the red team to find and exploit this adversarial narrative in a crisis scenario. Properly exploited, the adversarial narrative could (and should) diverge considerably from the central exercise design narrative. In fact, our experience at NATO demonstrated that a public information examination of the exercise design forced a greater attention on what the planners really intended to get out of the exercise. Examples of this divergence in narrative can be culled from recent experience. Organizations like NATO and the Pentagon focus on solutions; the media focus on causes and victims. The fury over the oil spill in the Gulf of Mexico drew contrasts between BP’s corporate leaders and those whose livelihoods depended on the Gulf; the necessity of capping the leak and protecting the ocean and shores from an ecological disaster fell far behind in coverage. In other words, the government’s attention was on solving the problem, while the media’s attention focused on the problem itself. Crisis media simulation must reflect this. NATO has benefited greatly from the participation of several member states in producing media for prior exercises. This has been crucial not only for the verisimilitude of the exercise, but also for the regional divergence of views on an emerging crisis. In many cases, NATO member states decided to build national-level exercise scenarios into the NATO-level Crisis Management Exercise. This gives us the opportunity to simulate a crisis scenario in a real physical environment, which is also a challenge. It is important to make the scenario look as real as possible by grounding it in a real place in a country foreign to the majority of players but intimately familiar to many of them. Given our resources, this cannot be done without close participation by the member nations. In one case, a central European country provided fully produced news broadcasts under the mark of its national news network in the local language. Dramatically written, it put into play a unique regional perspective that demonstrated the cynicism of former communist countries of official pronouncements on safety, given experiences such as Chernobyl. The Western European reaction was quite different. For an organization like NATO, reconciling dramatic divergences in public perception is a challenge in a crisis. The more contributions we received, the better. There is never one single narrative on any one crisis, and trainees and red teams must be aware of and represent that fact. Additionally, this spreads the burden of complex and time-consuming work of producing high-quality media simulations to others, with creative consequences. Today, the news media and public perception are inseparable from a crisis itself, but the media picture almost never matches the experience of an organization or institution going through the crisis. Creating this mirror world in exercises or simulations is critically important for training and preparing organizations and people for modern crises. James Snyder is a member of NATO’s International Staff and has helped to plan two NATO Crisis Management Exercises. The original article was published in the Training and Simultaion Journal and can be found here.